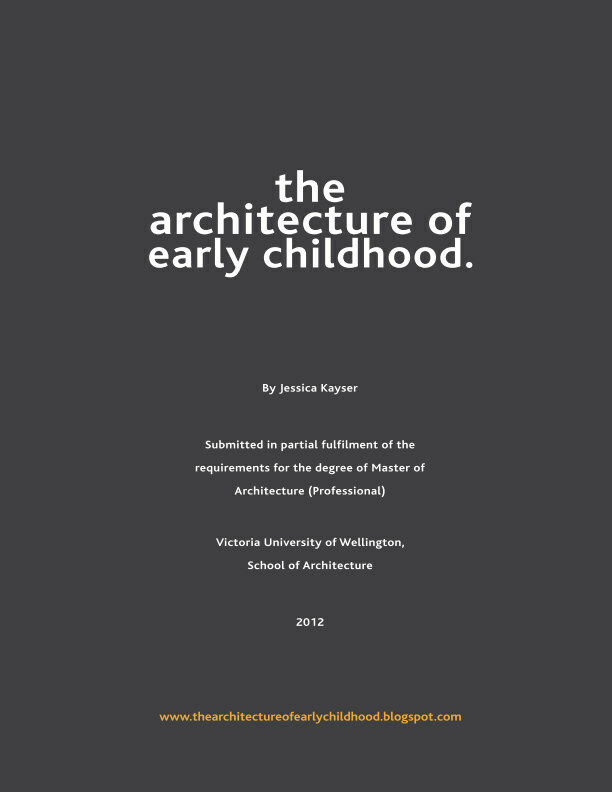 AEC - Architecture of Early Childhood: Te Mirumiru (Ngati Hine) Childcare Centre now finished! 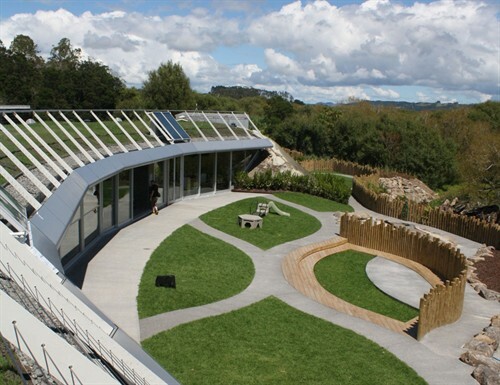 The design not only reflects the local Maori culture and beliefs, but is ecologically sensitive, integrating passive environmental design features with the interior spaces being naturally ventilated and a thermal mass keeping the spaces warm in the winter and cool in the summer. A green roof enables the building to seamlessly integrate into the natural ecology, making as minimal a mark on the land as possible. Solar panels are used to harness energy from the sun and double as a railing to stop children from falling off the rooftop. 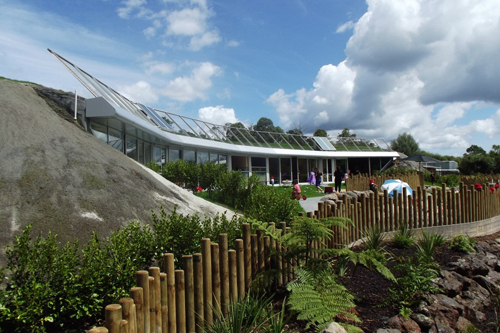 The outdoor area has been wonderfully landscaped with twisting and curving paths, natural rocks and gardens, levels (with what looks like a stage and seating for shows) and play structures. 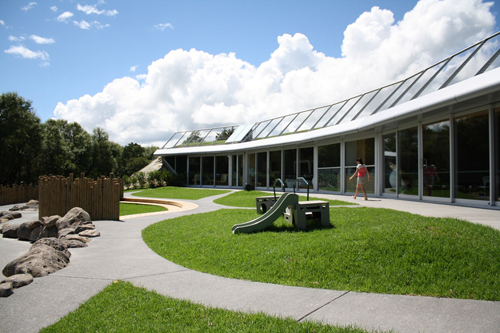 The curving form further enhances the feeling that the building is at one with the environment, and gives a feeling of protection and security wrapping itself around the young children. 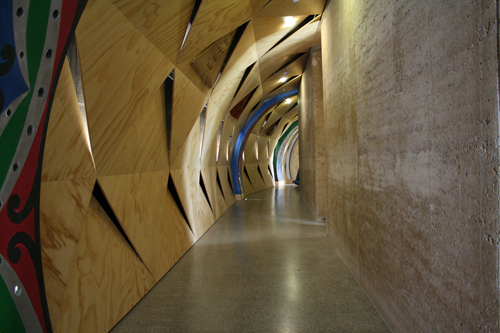 Natural materials provide a multitude of textures and feelings. 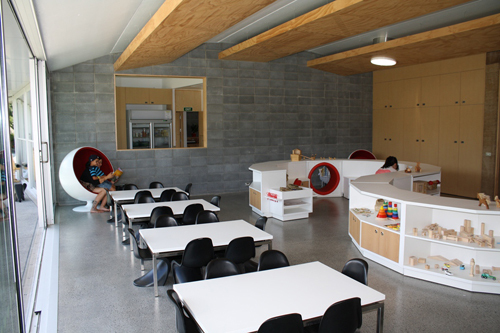 Storage furniture modules work to divide the space, whilst providing accessible storage for the children. 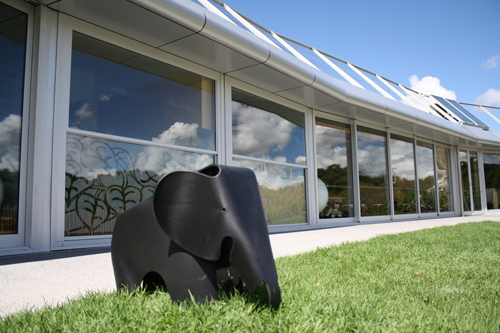 Overall it is a building that considers not just the children's most basic learning needs for space for equipment - but the context of the community's culture and beliefs, and the local natural ecology. Thus becoming a symbol of the people and the place from which it derives. See Phil's other works here.